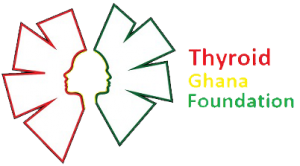 The Thyroid Patients Forum is a Thyroid Ghana Foundation initiative which aims to give thyroid patients an opportunity to interact with Consultants and Specialists from the College of Health Sciences and Korle-Bu Teaching Hospital who are involved in the diagnosis, management and treatment of thyroid cases. The Founder and President of the Foundation, Mrs. Nana Adwoa Konadu Dsane, who had undergone surgery for a thyroid problem, chose to organize the maiden edition of the Thyroid Patients Forum on her birthday, 20th October, 2018 to share the special day with patients under the Foundation’s Patient Support Programme. 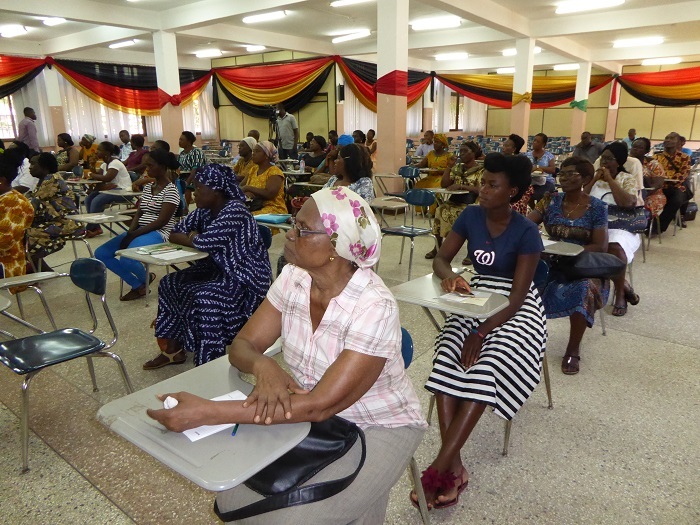 On the importance of the forum, Mrs. Dsane explained that the foundation realized that there is very little information on thyroid disorders out there and this can cause a lot of panic among patients who already experience anxieties due to their condition and desperately need to know what steps to take to relieve the stress associated with the disease. She noted that patients who visit the clinics for treatment do not get enough opportunity to ask questions relating to their condition mainly because, the clinics are very busy and time allocated per patient is very limited. She added that it was necessary to host the forum not only in English but also some local languages to cater for a wide category of patients. The Forum was chaired by Rev. Prof. Patrick F. Ayeh-Kumi, Provost of the College of Health Sciences, University of Ghana and Chairman of the Management Board of the Thyroid Ghana Foundation. He said at the beginning of the forum that the programme has to be very informal in order to encourage participants to ask questions especially those who may feel intimidated to do so. He proceeded throughout the programme to translate all discussions by the consultants in Ga and Akan for the benefit of the participants. The event was also attended by Dr. Alfred Tetteh (aka Prof T), Consultant Surgeon at Department of Surgery. Among other things Prof T provided detailed explanations on what goes into thyroid surgery, what patients are required to do prior to the surgery and what to expect after. Dr. Mrs. Josephine Akpalu, Consultant Endocrinologist and Head of the Endocrine Unit, Department of Medicine, was also present to provide an overview of the thyroid gland and thyroid disease problems. She charged participants to test for thyroid disorders and advised on what steps to take if the test results are unfavorable. Dr. Naa Adorkor Aryeetey is a Radiation Oncologist at the National Centre for Radiotherapy and Nuclear Medicine and she was at the event to talk about thyroid cancers and the use of radioactive iodine to treat hyperthyroidism (Overactive thyroid disorder). She used the platform to encourage the general public to seek earlier treatments for thyroid diseases as this can be crucial in preventing thyroid cancers. Mrs Beatrice Williams, Clinical Psychologist, Department of Psychiatry took the patients through a quick counseling session to give them the needed mental support and encourage them to stay strong throughout their treatment. She noted that being a thyroid patient can be very disheartening due to the fact that the condition may require lifelong treatment. She added that patients in many cases can easily become depressed which is also a major health problem and can be very expensive to treat. She therefore encouraged patients to always concentrate on the positive side of life and to try as much as possible to avoid stressful situations. Her session was very interactive and the effect she had on the patients was almost instant. Ms. Portia Dzivenu is a Dietician and Snr Research Assistant at the Department of Nutrition and Dietetics, School of Biomedical and Allied Health Sciences. She gave a breakdown of foods that are healthy for both categories of thyroid disorders that is hypo and hyperthyroidism. She was on call to provide answers to all the patients’ dietary concerns. The forum was hosted by Ms. Janet Boateng, Host and Producer of “Campus 360 Live”. During the programme Participants were given information sheets which covers all aspects of thyroid disorders and treatments. The programme ended with a celebration of the Founder’s birthday. She used the platform to encourage all participants to be ambassadors for thyroid health and also provided information on future projects under the Foundation’s Patient Support programme. The Thyroid Patients Forum was proudly supported by Ernest Chemist, Kenzo’s Place, Bedita Pharmacy Ltd, The College of Health Sciences, University of Ghana, Chartered Institute of Leadership and Governance, Departments of Medicine and Therapeutics and Surgery of the College of Health Sciences, the Dsane, Kumahlor, Pinkran and Burah Families, Art TwoThings Media, Volunteers of the Thyroid Ghana Foundation and Mensdo Bissap Beverages.